In 2018, scientists at UC Berkeley published a study of drought effects on soil biogeochemistry in the humid tropics. 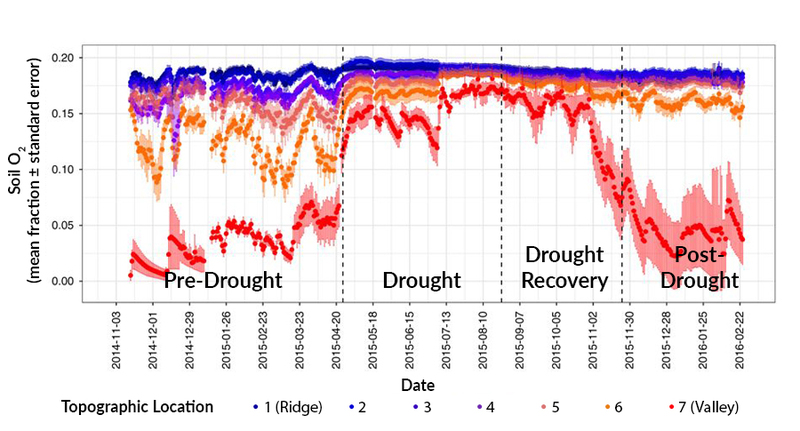 The researchers used Apogee SO-110 soil oxygen sensors, and other tools, to characterize soil responses to a severe El Niño drought in Puerto Rico in 2015. The sensors were deployed from November 2014 to February 2016 in the Luquillo Experimental Forest, with seven sensors along each of five ridge to valley transects. This automated network of sensors provided the researchers with a rich dataset of soil conditions both before and after the drought. Oxygen measurements revealed that soils responded rapidly (1–3 weeks) to the drought but recovered slowly (over 12 weeks), extending the effective drought period belowground longer than would be observed in the precipitation record alone. Soil responses varied consistently by topography, with O2 concentrations in valleys increasing dramatically during the drought, and recovering slowly. In valleys CO2 emissions increased by 163% during the drought and were slow to recover to pre-drought conditions, perhaps due to the slow recovery of soil O2 levels. 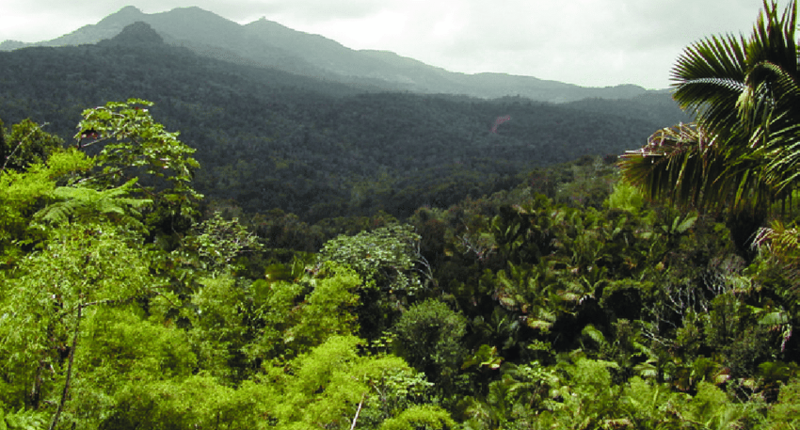 The rapid response and slow recovery to drought suggest that tropical forest biogeochemistry is more sensitive to climate change than previously believed, with potentially large consequences for regional and global carbon cycles. Soil oxygen fraction from November 2014 to February 2016. Soil moisture and oxygen data points are the daily mean for each of the seven topographic locations (ridge to valley); error bars represent ± 1 s.e.m. Wood and Silver have studied the effect of drought on greenhouse gases emitted from soils in the Luquillo Experimental Forest, Puerto Rico. Apogee Instruments' oxygen sensor is used to help characterize soil responses to severe drought.